Starting today you can get the latest news about the local media scene, as veteran media writer John Kiesewetter brings his blog, John Kiesewetter: Media Beat, to wvxu.org. John left the daily paper last fall, but local media is still his beat, and starting today, he brings his interest, curiosity, contacts and unique style to Cincinnati Public Radio, 91.7 WVXU and 88.5 WMUB. You can now find his blog, John Kiesewetter: Media Beat, on its new home, wvxu.org. John joins us this afternoon to give us a preview of what readers can expect in his blog and media reporting. 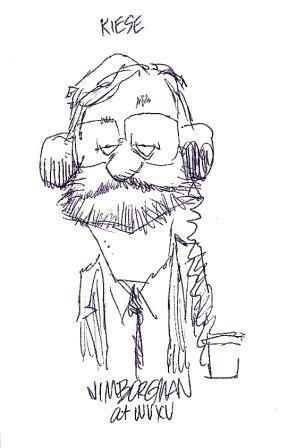 In 1992, Cincinnati Enquirer political cartoonist Jim Borgman sketched this of John Kiesewetter at a WVXU fund drive. 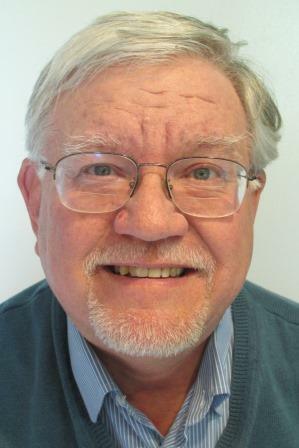 For more than 30 years, John Kiesewetter was the source for information about all things in local media – comings and goings, local people appearing on the big or small screen, special programs, and much more. Though his time at the Cincinnati Enquirer ended last year, local media is still his beat and he’s bringing his interest, curiosity, contacts and unique style to Cincinnati Public Radio and 91.7 WVXU starting Wednesday, July 1. Chad Lambert moved to Cincinnati in 1994 and eventually landed a job working for radio personality Gary Burbank on WLW. But growing up, a different radio station had a major influence on his life. Even though it didn’t really exist. Chad Lambert has written a biographical comic about that station and the characters who inhabited it.